Jumeirah Mina A Salam is a lavishly fascinating boutique style hotel providing family-friendly service and realistic Arabian experiences on the beach front location. 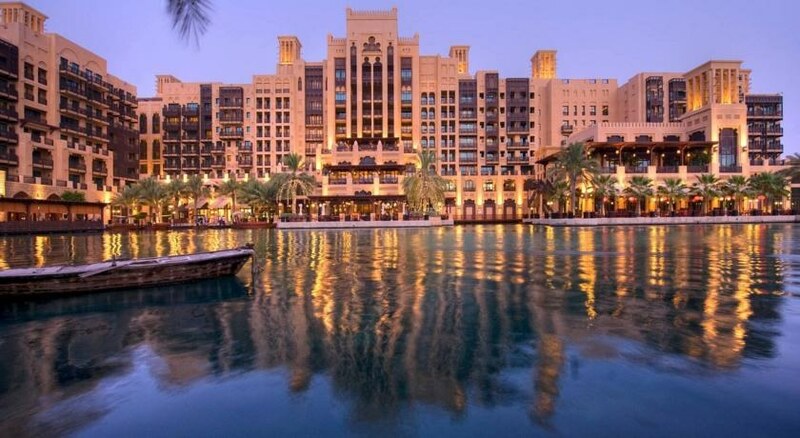 The name of the hotel means ‘Harbour of Peace.’ This classy hotel serves as an entry point through which several walkways and waterways drift their way to all the corners of Madinat Jumeirah. Once you get into this resort, you will get to know how much it has to offer and why this magnificent resort is the true jewel of Dubai. With more than 40 top-class restaurants, bars and lounges, you will be enjoying lip-smacking foods and plentiful cuisines to savour your taste buds. All the guests in the hotel are provided complementary access to the Wild Wadi Waterpark. 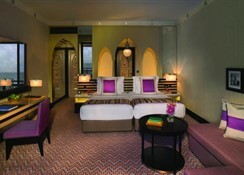 Set in the heart of dazzling Dubai, the hotel is just 2 minutes’ walk from the beach. The Dubai International Airport is about 27km from the hotel and the Mall of Emirates is only 2.2km, which makes the hotel a convenient base for shoppers. The Burj Khalifa is about 15km from the hotel. This delightful hotel features 292 luxurious rooms that will surely satisfy all types of travellers from around the world. Most of the rooms in this hotel offer delightful views of the sun, sand and sea. 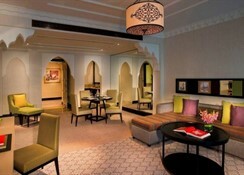 The rooms can accommodate three adults or two adults with two children aged below 12. 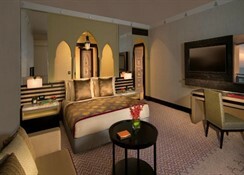 Rooms are categorised as Arabian Room, Arabian Deluxe, Executive Arabian, Executive Ocean, Ocean Deluxe, Arabian Gulf Suite, Ocean Suite and Royal Suite. The rooms have all the necessary amenities that include air conditioning, bathrooms with toiletries, seating area, flat screen TV with cable and much more. 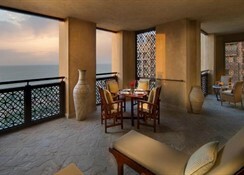 The restaurants and bars in Jumeirah are renowned for lip-smacking food and wide-ranging drinks. From the signature restaurants and casual family-friendly dining to chill-out bars, lounges and night entertainment, every restaurant provides an unmatchable array of ingenious food & beverages for adults and children. This fantastic hotel has abundant sporting facilities both for adults and children. If you feel energetic head to the tennis court or maintain your fitness level at the fully-fledged fitness centre. If you are looking for more head to the golf-course, which is only 3km from the hotel. When you are in Jumeirah, time can stop for you in the spa. 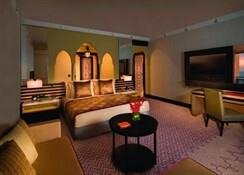 The spa treatments at Jumeirah will let you experience the ultimate journey to rejuvenation, well-being and relaxation.